Apple’s CEO Tim Cook has said in a letter sent to shareholders earlier this month that the company is undertaking various initiatives to improve its finances, including encouraging people to trade iPhone XR Trade-in Offer in their old phones for new ones. The latest crop of iPhones has failed to perform as expected, prompting Apple to introduce lucrative trade-in offers to get customers to upgrade. The company has now updated its trade-in deal in the U.S., and you can get an iPhone XR for as low as $18.99 per month. 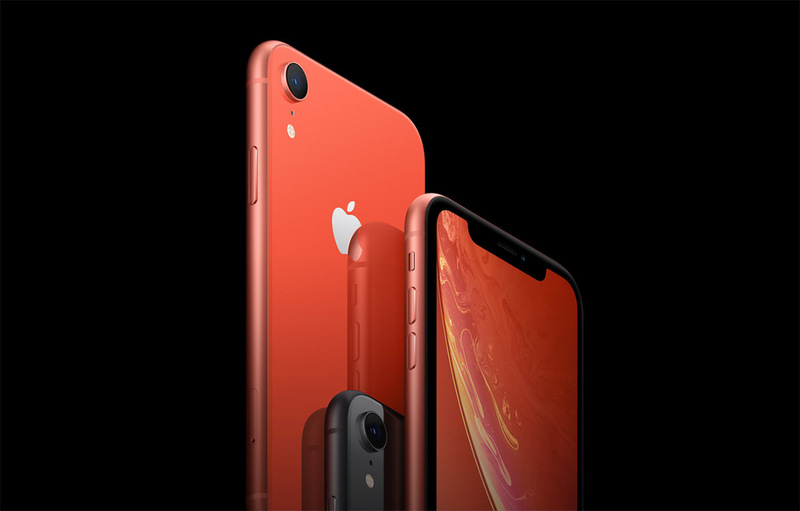 The company has revised its iPhone XR Trade-in Offer for the iPhone XR and iPhone XS in the U.S., which means it would now be more affordable for consumers to get the devices. 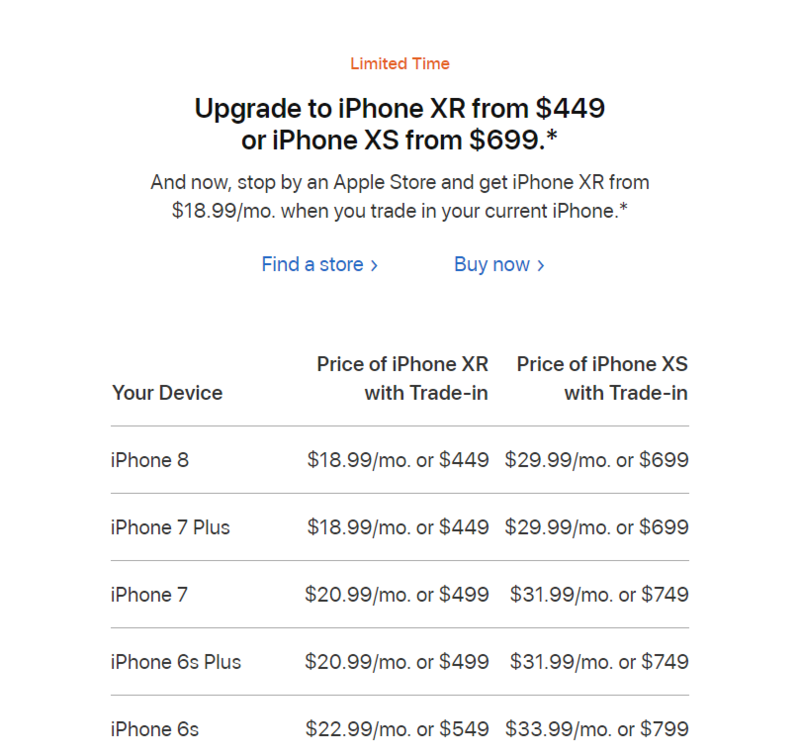 After trading an eligible iPhone at an Apple Store, customers in the U.S. can buy the iPhone XR for as low as $18.99 a month or the iPhone XS for as low as $29.99 every month for two years. Customers may also pay the full price up front if they want. Trading-in the iPhone 7 Plus or iPhone 8 would require a payment of $449 and $699 for the iPhone XR and iPhone XS, respectively. Without this option, the iPhone XR starts at $749 and iPhone XS costs $999. This is a limited time promotion and while the company hasn’t specified when it will end in the U.S., it will end on February 28 in Asia. The monthly payment trade-in option can only be availed through Apple Stores. Apple has also extended its trade-in offer for the two phones in Japan and a similar deal has also been spotted on Apple’s Chinese website. The deal was supposed to expire by the end of this month in the far eastern country but it has now been extended till February 17, 2019. In a bid to offload their stock of new phones, Japanese carriers have shaved $100 off the price of iPhone XR while telecoms in China have reduced the price by up to 20 percent. It remains to be seen if these promotions and price cuts would be enough to boost the sales of new iPhones.